Afghanistan's New President Thinks His Wife Can Play a Decisive Role in the Country's Future Despite Her Gender. Why He's Right. Ali A. Olomi is a historian currently pursuing a Ph.D in intellectual and cultural history of the Middle East at the University of California, Irvine. Today, Afghanistan invokes images of women in burkas and veils, but this was not always the case. In the 20th century great strides were made in advancing the cause of women’s rights and education in Afghanistan. Decades of war and oppression have erased the progress made and today we are left with a nation in dire straits. There is hope for change though. Ashraf Ghani has been elected as president. For Afghans, he offers an opportunity for change. A reform-minded and progressive politician, he has the potential to mark a shift from the way things have been. Conservatives who opposed Ghani made quite a case about his wife being an obstacle to his election. Rula Ghani is a Lebanese-born Christian who has been instrumental in her husband’s campaign. President Ghani did not win in spite of his wife being foreign-born and of another religion—he won, in part, because of her. Afghans have made their opinion heard; they have elected a progressive, reform-minded, pragmatic leader whose wife is politically active and in the public eye. Afghan intellectuals who have been following the election are excited by what this represents for Afghanistan and for the cause of women in the country. When Ghani gave his acceptance speech he thanked his wife, saying, “I want to thank my partner for supporting Afghanistan. She has always supported Afghan women and I hope she continues to do so.” In conservative Afghanistan many see this as an unusual move, but historians with long memories recall another similar speech. In 1926, King Amanullah Khan declared publicly, “I am your King, but your Minister of Education is my wife—your Queen.” Both King Amanullah and Queen Soraya are important figures in Afghan memory. They represent the beginnings of a golden age, where Afghanistan moved rapidly down the road of progress and instituted policies of modernization. It was the beginning of a process that led to Kabul being declared the Paris of Central Asia. It was all due to the reforms of King Amanullah and Queen Soraya. She was the first active Queen of Afghanistan and a tireless champion of women’s rights. Queen Soraya rejected traditional dress-code for European dresses, encouraged women in education, and fought against the tribal patriarchy that was engrained in the rural areas of Afghanistan. Under the leadership of her and her husband, Afghanistan underwent a process of urbanization and growth with an explosion of excellent schools, an engaged and literate populace, progressive intelligentsia, and a robust workforce. Like Queen Soraya, Rula Ghani is foreign-born and like Queen Soraya she is education-minded. She stands in the shadow of Afghanistan’s courageous women. For while Queen Soraya was the first to stand for women in Afghanistan she was certainly not the last. 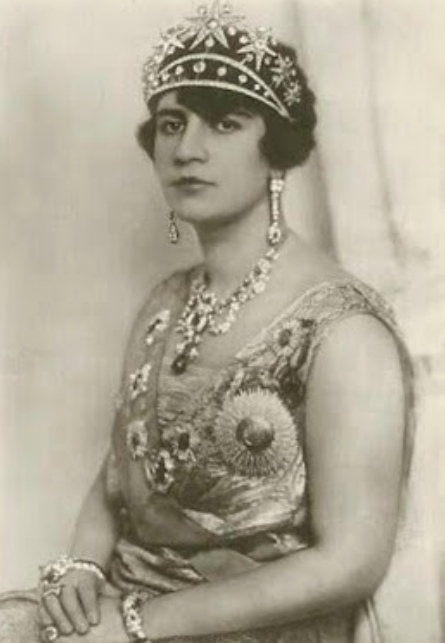 In addition to her there were controversial Marxists like Anahita Ratebzad and the last Queen of Afghanistan, Humaira Begum, who founded the “Women’s Society” and led reforms by removing her own veil. Rula Ghani also joins more contemporary women like Fawzia Koofi a prominent female member of parliament who campaigns for women’s right to education, and Masuma Esmati-Wardak, the former Minister of Education, and the famed activist and former politician, Malalai Joya, who was once called the “bravest woman in Afghanistan” by the BBC for her strong critiques against the Taliban and Hamid Karzai both. Afghanistan is a traditional society whose patriarchy is engrained in its ethnic tribalism. But it is also a country whose history is filled with powerful women. Women who challenged and resisted patriarchy in all manner of ways. They found their voice in politics, in writing, and even in war. From legendary figures likes Malalai of Maiwand, who took up the banner when the flag bearer fell and roused Afghan soldiers to fight against the British, to the “Mother of the Nation,” Nazo Anaa, the famed poet who took up the sword to defend her home alongside the men. When historians look to Rula Ghani and compare her to Queen Soraya, they are remembering Afghanistan’s women past, present, and future. They are remembering that for all the silences and despite the decades of war and countless attempts at erasing the past by the Taliban and others like them that Afghan women have risen up and fought. That against all odds, Afghan women have constantly found their own voice and fought for their own destiny. It is into this history that Rula Ghani steps and it is with a sense of great hope that historians remembering the past hope that Rula Ghani has the courage to fight for the future.